Part 1 examines what big dice pools may be for and considers ease of use for various ways of using and reading the results. Part 2 looks at target values and then upgrades the topic to what dice are rolled for: whether to represent the expected outcome or to violate it. Warning: body punches. Part 3 continues the mechanics-procedures-math topic into the spray-vs.-focus of the dice results relative to whatever adjustable mechanics you may employ to alter them. This prompts a look at resolution or crucial context for resolution which does not involve dice, either replacing them or significantly affecting them. Part 4 takes the concept to a finer grain in "special effects with teeth," in that this fictional context of a given rule - usually a very quantitative one - can itself be a significant rule, as opposed to mere skin. We also briefly criticize modern presentations of game discussions and game play as lacking in authenticity. Rolling dice - and playlists! Hey, you got the playlist working! Cool. Another factor in "why you want to roll the dice" I was reminded of when we played the original Runequest system, Ron - the "it's how you improve (or might improve) your skill/ability" feature. It has some drawbacks - pleading for rolls with minimal fictional impact, for e.g. - but I've not played nearly enough in that mode to have well-informed thoughts/opinions. In fact, it's rather startling how quickly that feature gets edited out of play in about every game I've ever seen it in. I'd like to talk more about those things, but they're both out of the scope of this particular conversation which was strictly about using big, variable numbers of dice. 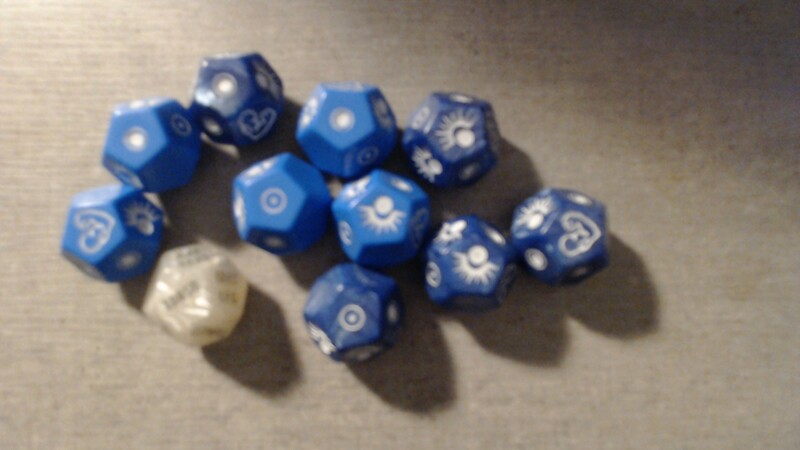 But a "diceless" (which is of course all about dice) Monday Lab seems like a good idea. OK, here's for mounds o'dice talk only, and my commentary is limited. My only substantial die pool play was T&T where it was ... fine, if a bit burdensome, and Vampire/Werewolf, where I didn't like it one bit. A few glimpses in 7th Sea (seemed OK) and maybe a few others, but it wasn't until The Pool that I realized I had an irrational distaste for such systems. Even with that recognition of irrationality, I still shy away from "more dice!" as a design aesthetic. I had intended to get back to the first question in the conversation, which was, "Why design mechanics which involve rolling big handfuls of dice?" Ben had talked about the aesthetic satisfaction of it, but I wanted to talk more about its math, or different versions of it, i.e., whether and how it works differently from a dice roll which is utilized with the same instrumentation every time. One possible consideration is the variety of information provided by multiple readings of the same roll. which I suppose is most explicitly lauded in the One Roll Engine. I can imagine doing similarly with a more fixed non-pool mechanic, e.g., "add 2d6 and compare to this table for your degree of success, but also, see what the red die [one of the two] says for this other effect." But for some reason the pool mechanics seem to go in that direction more often. Another is the possibility of using different sorts of dice, which I mentioned for the Game Chef version of The Shab al-Hiri Roach, but is very explicit in the picture/image dice games like those I mentioned in another comment for this post. So it would matter not only how many dice you pick up, but which ones are included. Then there's the interesting role of quantity. 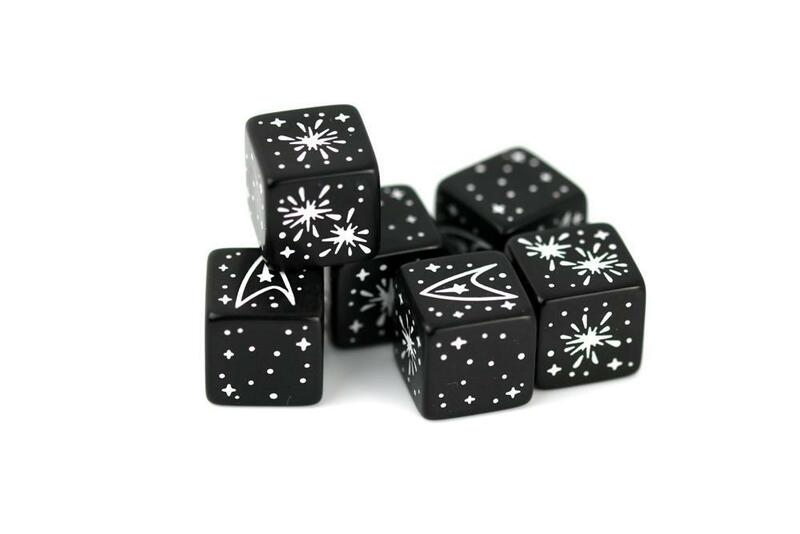 With the exception of Fudge/Fate and any similar thing, you get wider results with more dice. What then does that mean in terms of fictional activity and effect? These mechanics lend themselves well to outer-ripple, no-ceiling effects, and also to pretty finely discerned degrees of effect within the range of a given roll, without as much table-consulting and conversion that you find for these things in more fixed-dice mechanics. 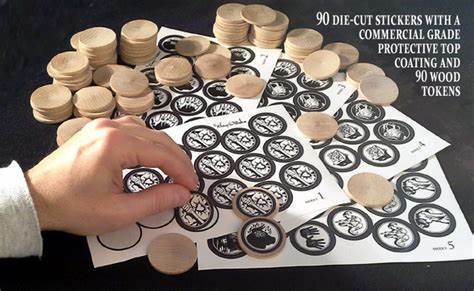 Regarding the question of liking and disliking this set or family of mechanics: I have observed many people who say they dislike them to reference White Wolf games and Shadowrun, both of which feature laborious handling time. I'm not talking about the botch issue; I'm talking about having to assess each die for success/fail before you assess for overall success/fail. (Burning Wheel is similar although a bit simpler.) The question is whether this dislike stems specifically from coping with that one drawback of those particular systems, or if it has any more substance. I'd say that coping with that drawback (and the lingering distaste it triggered) was a significant factor in "why dislike" for me, and that seeing how it's NOT a required aspect of pools goes a long way to overcoming the dislike. However, I've seen (in myself and other gamers) a ... biased appreciation(?) of the apparent-clarity that comes from "15 or better on a d20 is 30% likely" or "percentile roll makes your chance clear just by SAYING the target". For myself, I try and devalue that reaction, because my experience has been that there's no real connection between a clear, simple, matematical understanding of the probablity and how much I and others enjoy the game. I'm not sure my rationality always overcomes my emotionality on this one, though. I've been contemplating - for a long time - the difference between the clarity of reading (and anticipating) vs. the clarity of doing (and learning thereby). Perhaps the best example of the difference I've encountered in role-playing comes with The Clay That Woke, which is - frankly - bizarre upon reading. Paul completely dismisses all manual-style, idiot-proof, forward-written standards for clarity, in favor of promoting aesthetic buy-in and tactile instruction. Briefly, the mechanics I'm talking about here are a "dice pool" in any sense of the term that matters. I want to talk about the tactile instruction. I think you and I have both seen far too many RPG texts which promote aesthetic buy-in and then either fail badly at practical instruction or perhaps worse, clearly instruct badly-designed procedures. Clay is notable because it does instruct well, and the procedures are sound, but you will not get instructed just by perusing the text. You have to do, not imagine doing. I am pretty confident about this because I have presented the game multiple times via playing sessions, and I know that a cold look at the Krater outcomes table sets any role-player back on their heels. It is not accessible to reading-only analysis, which is especially unwelcome to those role-players who feel they must know game mechanics to the point of "beating" them before they will try to play a game. Yet it takes one Krater draw by even just one player, every single time I've played, for everyone at the table to say "Oh!!" and then proceed to contribute tokens and process their use without confusion or hesitation from the very next conflict ("inflection") onwards. The learning process is non-verbal and highly reliable. The math of the better dice-pool mechanics is processed this way, I think, without drilling down into single known percentages. A person arrives at confident, unstressed use of the system (i.e., varying the percentages, and of what) at a level best approached with non-verbalized formal game theory rather than known single-instance percentages. I am always attracted to a conversation about dice! Tying skill development to rolls in play (and its many variants) that Gordon C mentions above (roll to improve) is a very popular feature with me and one of the first things to draw me into the use of BRP. It has changed in a lot of interesting ways which have tended to suggest to me that there were a lot of arguments about it "out there". There are interesting boundaries where people do and do not want the dice to be involved (roll for traits vs point-buy, roll for improvement vs improve with points, etc). Uh oh! A double set of high-horsepower comments which really want to talk about those chickens over there when here, I was talking about cheese. Chickens later, then? I was thinking about the games I've seen you play - not an exhaustive review of your extensive catalogue - can you mention one or more of them which use handfuls of dice, especially varying handfuls? I'd like to apply what you said here to that limited subset. So, a whole topic right there: dice pools with varying numbers of dice, with primarily or totally illustrated faces. If you can think of other games that qualify, please bring'em in to the conversation. With a side glance toward The Clay That Woke which began its design long, long ago with something called The World, The Flesh, and the Devil, which used dice you actually designed personally in terms of how many of which faces were involved. Ron, you do have the correct dice pictured for the Star Trek Adventures RPG (2d20, Modiphius) and which of course also makes use of variably sized pools of d20s. 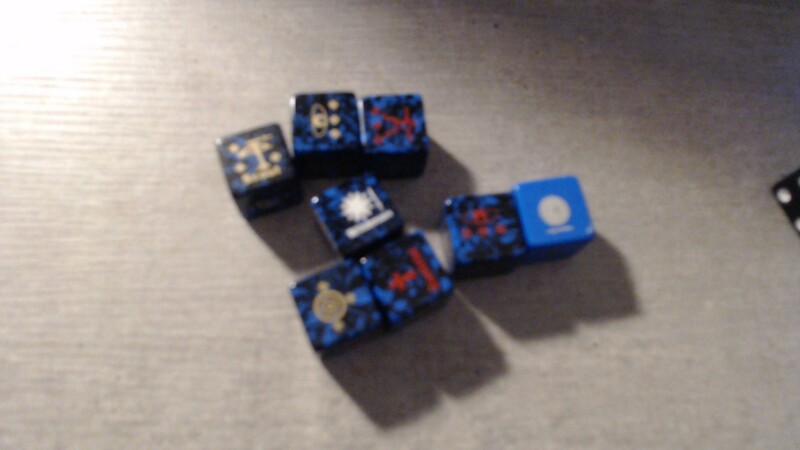 The d6s are used in very interesting ways for the system's extended task method (which includes combat). I think in a dice pool conversation, you do not want to miss out on FFG's narative dice system (Warhammer 3rd > Star Wars Roleplaying > Genesys) which does a whole lot of old and new things in a whole lot of old and new ways. 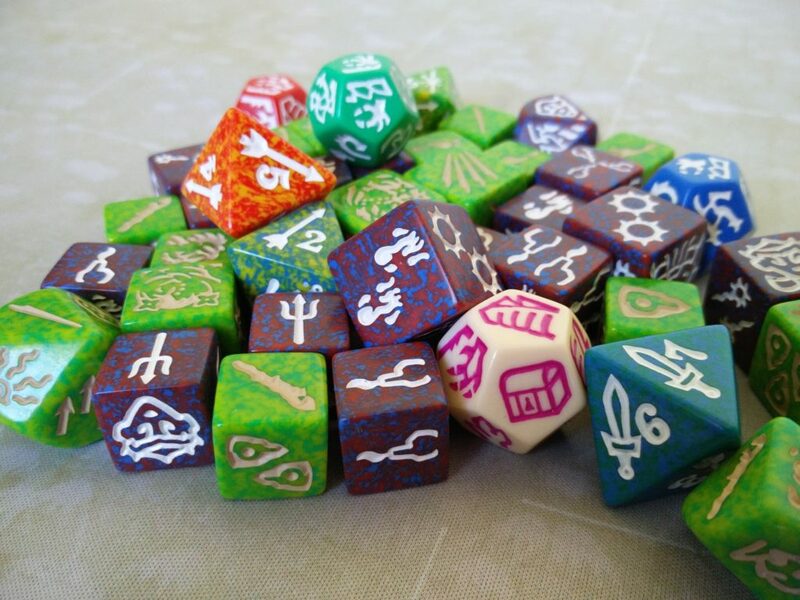 Dice pool games that I have particularly enjoyed for the use of the dice over the years have been of varying types such as WEG d6 and Shadowrun but that appreciation has dwindled as I have come across approaches like Ubiquity and FFG Star Wars Roleplaying. With Storyteller, this problem was exacerbated due to the early version of the dice pool leading to a significant number of failures as a matter of course. Where this really got my attention was that when I played with other groups in the early days, I noted that a lot of the built-in methods for avoiding all of these failures were routinely ignored. People chose to roll when they did not have to (avoided taking the auto, they chose to hang on to points meant to bolster chances of success, and they did not seem to put much rigor into the assessment of Difficulty. Worse, the combination of premature imagination and that dice pool method collided in spectacular differences between what was hoped for and what 'actually happened.' 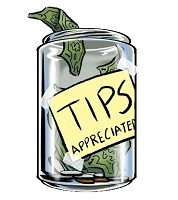 Later, after the reality of things had really sunk in, the behavior changed among the players to use as many of the success-boosting methods as they could. I noted with some surprise that there was no shortage of reactionary measures by GMs to boost Difficulties, undervalue "1 success" and so on. Rolling large numbers of dice was still as much fun as always, and getting to recognize numbers of N or greater made play faster and less intimidating to some players (old and new), but the impetus toward failure, the use of resources to offset it, and the tone of the games clashed for an interesting number of play groups that I experienced, leading to changes to the system to make it do what they wanted instead of playing to discover what it produced. Good series. I decided to make a response specifically about the information density that you kept alluding to. Great video - and I don't know if you could hear me squeaking with suppressed commentary across the impossible gulf of space/time between you recording and me listening later, but I spent most of it sputtering, until you relieved the tension by promising to talk about the diminishing returns later. That's the primary issue for me with this family of methods. As a teaser for that, I submit The Pool, one of those games which simply must be experienced to forestall any/all blithering about what it is or isn't, and for which the resolution roll, made with varying numbers of d6, has no target number or opposing roll. If you get a 1 you succeed, and that's it. Doesn't matter how many 1's. I can make a case that any more sophistication added to it, for this game, would ruin the system instantly. Anthony and I spent an enjoyable 20 minutes talking further about this stuff, especially picture-dice, and wouldn't you know it, I didn't record it because we hadn't planned for a technical topic - we just happened to nail one anyway. Maybe we can recover the content in a recording later.